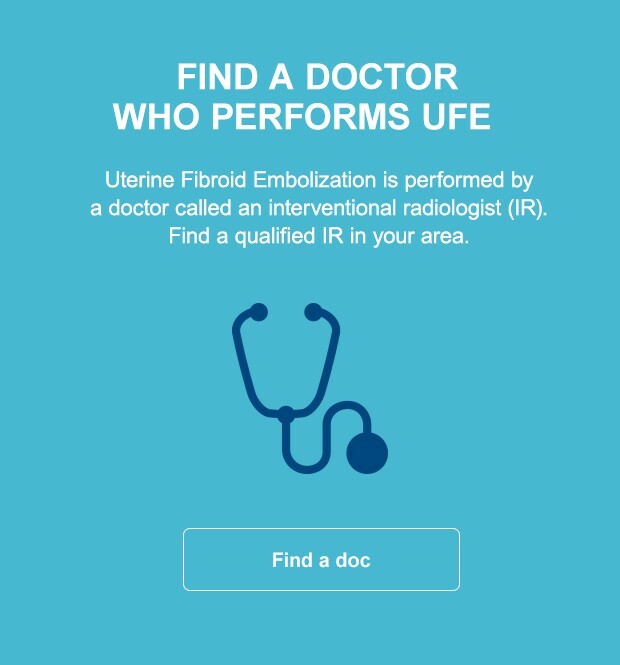 Find out what uterine fibroid embolization is and learn if it may be a fit for you. When considering treatment options, it helps to hear from others who have been in a similar situation. 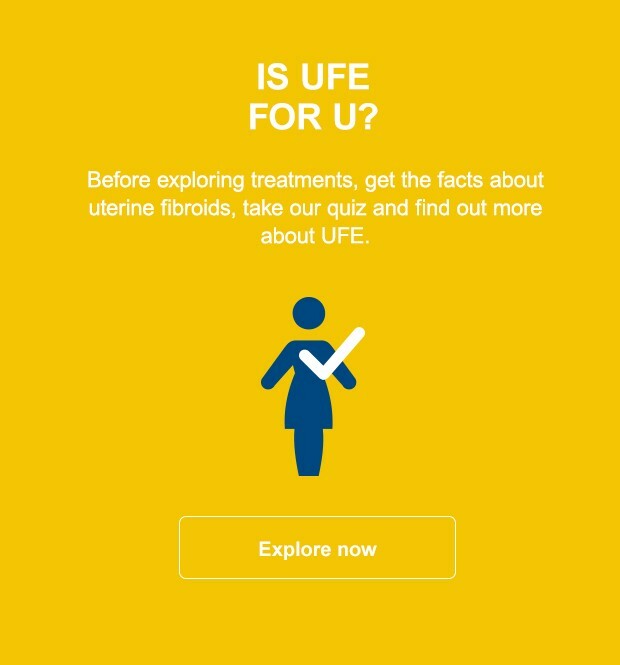 Watch our patient stories, as they share their experiences with UFE. 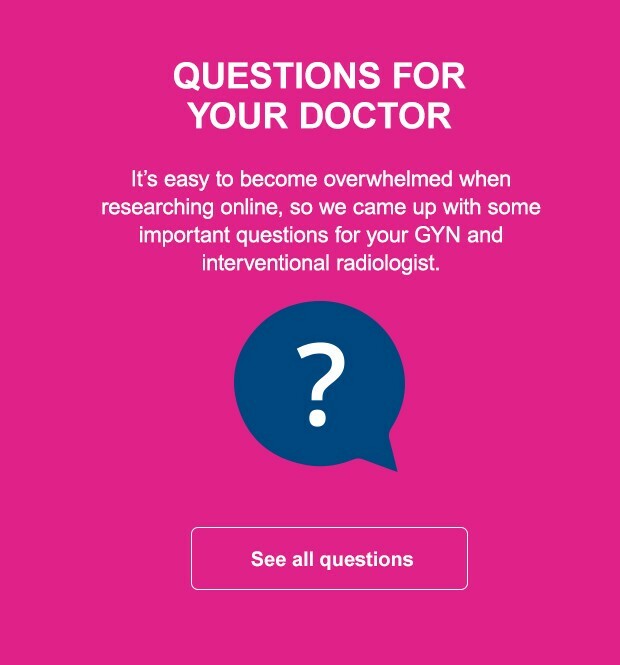 Receive emails about Uterine Fibroid Embolization. Khan AT, Shehmar M, Gupta JK. Uterine fibroids: current perspectives. Int J Womens Health. 2014 Jan 29;6:95-114.